Sun, Feb 10, 2019, 01:18 pm SL Time, ColomboPage News Desk, Sri Lanka. 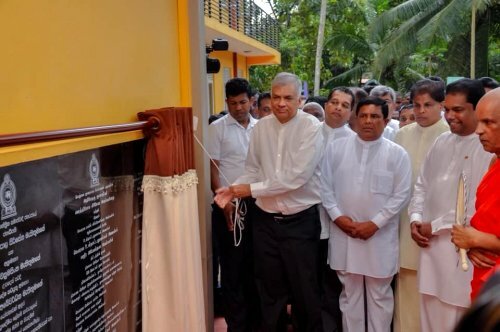 Feb 10, Colombo: Sri Lanka's Prime Minister Ranil Wickremesinghe said establishing a national government is a timely need to develop the country and stressed that if the political parties set aside the differences and work together the country can be built for the benefit of the people. 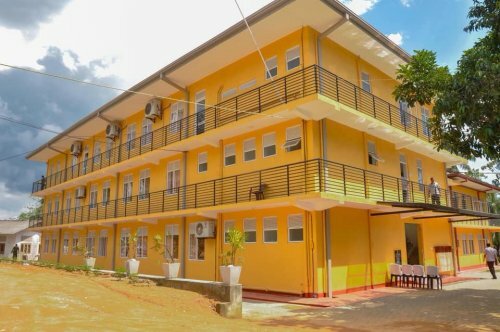 The Prime Minister also opened the 'Suraksha Center' which was constructed at Niyagama Punyarama Vihara at a cost of Rs. 6.5million.